4. Change the decoration color (by "decoration" we mean different elements that appear in some text animated effects). 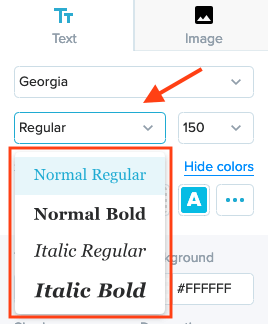 In order to start customizing your text, head over to the step "Edit" and select the text on the canvas. To change the font of your text message, head over to the drop-down menu with the names of the fonts. There are 300+ Google fonts available in Wave.video. Scroll down the menu to find the font you need. The text font will change automatically on the video. 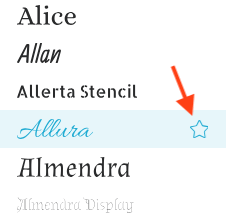 At the very top of the list, you can find the fonts that you have already used in the project. It makes it more convenient to find the fonts to reuse them in the same project. Below the project fonts, you can find Brand Fonts. These are the fonts you have preselected for your brand. Learn more about the Branding feature here. If you want to add a font to your brand for easier access, you can simply click the star sign next to a font. This way, it will appear at the top of the drop-down list. 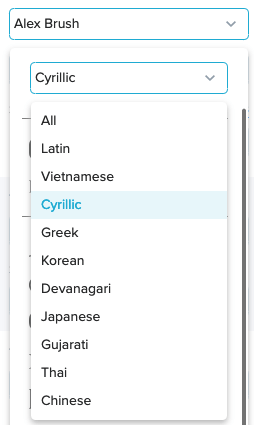 You can also filter the fonts available for certain alphabets, including: Vietnamese, Cyrillic, Greek, Korean, Devanagari, Japanese, Gujarati, Thai, and Chinese. 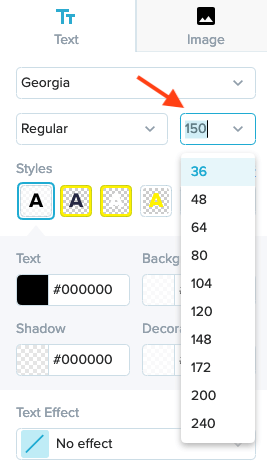 You can either choose the font size from the drop-down menu or type in the number you want. Click through the menus to change the colors accordingly. 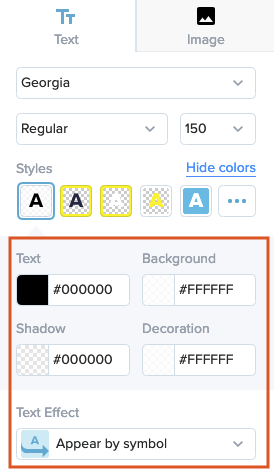 Choose from the project or brand colors, use the color palette or simply type in the hex code. For every element, you can also change the opacity. You can also add an animation effect to your text. Learn more about text animations here. 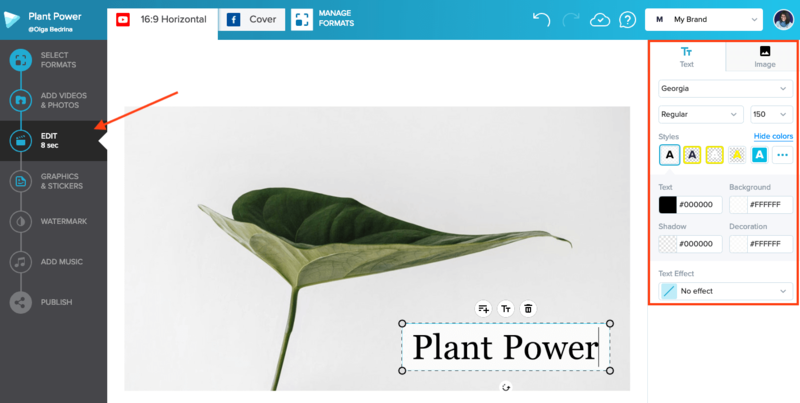 When you drag the text along, Wave.video will automatically snap it to the grid, helping you align the text to the center, left or right.